I’ve written about this film before, but I just keep coming back to it and having tantrums at just how unseen and overlooked it is. Crafted in Europe and given the darkly ambiguous title ‘W Delta Z’, it was picked up stateside by Dimension Extreme and now has the decidedly more accessible title ‘The Killing Gene’, but it’s like they say, a rose by any other name. This is one seriously blood soaked rose too, with a few deeply unsettling ideas to go along with copious amounts of grisly violence. People have compared it to both Saw and Sev7n, and while not inaccurate, it’s smarter than those two combined and twice as gruesome. The premise is terrific: Amidst a brutal gang war in some nameless inner city inferno, there’s a serial killer loose with a few elaborately cerebral methods. Kidnapping people and forcing them to the brink of death via torture, giving them one way out: flick a switch that promptly kills a loved one in front of their eyes, also in captivity right next to them. The goal? To try and find tangible proof that real ‘love’ exists beyond an illusory notion or simply to serve human function, based on a controversial mathematical equation. Pretty grim stuff, but fascinating as well. 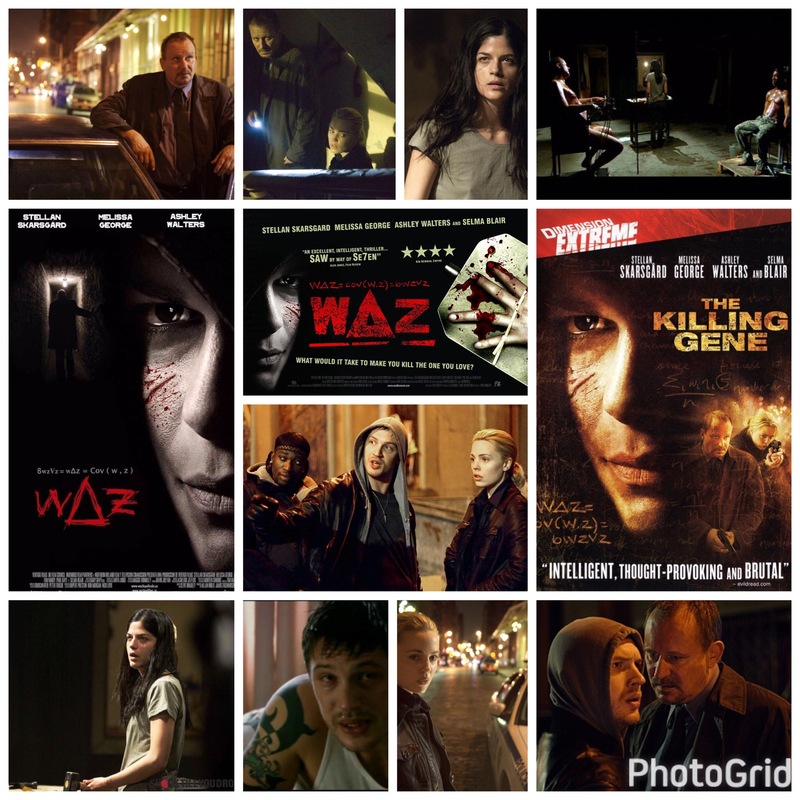 Weary Detective Eddie Argo (Stellan Skarsgard has never been better) does everything he can to find this maniac, stop the gangs from tearing up the city and wrestle demons from his own past, which have more to do with matters at hand than he thinks. Saddled with the obligatory rookie partner (Melissa George) and at odds with the psychotic ringleader of a gang (Tom Hardy), it’s a rough week for him and everyone in this hellhole. This is the first role I ever saw Hardy in and he’s terrifying, a mumbling urban joker who delights in doling out horrific violence and assault, just a pitch black, on point performance early in his now prolific career. I have to spoil one plot detail which is fairly evident from trailers anyway, and that’s the the identity of the murderer. Selma Blair is the perp in question, and not not once elsewhere in her career has she taken on a role that requires this kind bravery, grit and conviction. Her character is driven by fury, fuelled by vengeance and infected with the sickness that both those attributes fester among damaged people. She’s simultaneously a terrifying fiend and someone you can sympathize with, and even wish to protect. Her character has a bitter, twisted past and we soon realize that the chosen victims are all intricately woven into Eddie’s past, a dark web of violent secrets involving Hardy, another cohort (Ashley Walters) and all of the double dealing that has gone on between them in the past, a precursor of a narrative that comes back to haunt each and every one of them, including Blair herself. The distinct European flavour rushes up to meet the classic urban American crime aesthetic and creates a flavour both stark and irresistible, as we realize that the journey we’re being taken on is very, very different from most of the cop vs. killer flicks made by Hollywood. I can’t stress enough how great this one is. I rarely re-review films unless I feel like they really didn’t get a fighting chance out of the gate or that marketing wasn’t properly put in, and not enough people took notice. This one got seen by few, and just begs to be discovered by many folks out there who I know would really dig it.